Bloomsbury Auctions announces its annual holiday sale of original illustrations and fine illustrated books on Wednesday, 9 December at 2pm. The sale will showcase important works from the Golden Age of Illustration to the present day. Among the other important modern illustrators in the sale are Caldecott winners Arnold Lobel, Uri Shulevitz, Beni Montresor, Evaline Ness, Richard Egielski, Paul Zelinsky, Trina Schart Hyman and Leonard Weisgard. Other treasures that will be auctioned are Maurice Sendak’s original designs for the Wild Things Macy’s Thanksgiving Day Parade balloon ($40,000-$50,000), an unused illustration for The Bee-Man of Orn ($30,000-$40,000) and numerous signed presentation copies. 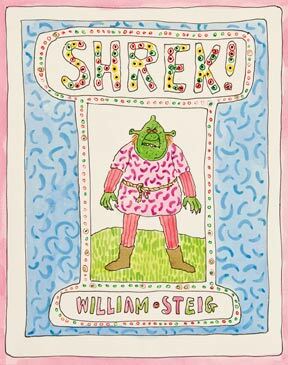 Watercolors by William Steig for the original Shrek! ($15,000-$20,000), Sylvester and the Magic Pebble ($15,000-$20,000) and other works will be sold to benefit The Eric Carle Museum of Picture Book Art. Two time Caldecott winners Leo and Diane Dillon are represented by works from Ashanti to Zulu ($15,000-$17,000), The Sorcerer’s Apprentice ($10,000-$12,000) and other award-winning titles. There will also be watercolors, drawings and other work by Edward Ardizonne, Umberto Brunelleschi, Edward Gorey, Tomi Ungerer, Al Hirschfeld, H. A. Rey, James Marshall, Barry Moser, Jerry Pinkney, Charles Santore, Charles M. Schultz and Walt Disney. Ukraine is the good area and buying property in this area is not an easy task. It would be nice if a lot of people discuss this article together, it has a lot of different aspects and I think everyone will have a new way of approaching it. Good post, it is well worth letting people take the time to track it.